This award was issued from 2003 through 2009. It is now discontinued. The ALA-APA: the Organization for the Advancement of Library Employees (ALA-APA) has named the winners of the 2009 SirsiDynix – ALA-APA Award for Outstanding Achievement in Promoting Salaries and Status for Library Workers. The winners are: the Anderson County Library Board, Clinton, Tenn.; Lynn Sutton, Wake Forest University Library, Winston-Salem, N.C.; and Mohamed Ismail, The Integrated Care Society in Cairo, Egypt. Of the $5000 award, Anderson County will receive $2000, and Sutton and Ismail will each receive $1500. Leigh Estabrook, University of Illinois at Urbana-Champaign, and Pamela Wilson, Jonathan Harwell and Patricia Anderson, members of the ALA-APA Salaries and Status of Library Workers Committee, will receive special recognition for their work on behalf of better salaries for library employees. Mohamed Ismail from The Integrated Care Society in Cairo, Egypt, developed a strategy to raise the salaries and status of Egyptian librarians working at 23 different libraries. Librarian salaries have risen from Egyptian pounds (EGP) 84 to EGP 1300 monthly, an increase of 1450%; directors earn EGP 3000 (approximately $550). In addition to increasing professional level salaries, Ismail ensured that librarians working more than 36 hours per week receive overtime and instituted performance-based bonuses. He arranged training for librarians and continues to encourage his library employees to get their graduate degrees in the United States and Germany, assuring them of salary increases once achieved. In addition to salary and bonuses, Ismail has worked to get all employees social and health insurance. The salary scale and the incentive system Ismail instituted have become a national reference for most public libraries in Egypt. Leigh Estabrook will receive a special certificate of recognition. Dr. Estabrook is Dean Emerita of the University of Illinois at Urbana-Champaign Graduate School of Library and Information Science. One of her many contributions to the Library profession is consistently urging library school students and library employees to be thoughtful in their approach to negotiations for salary and status. Dean Estabrook’s six rules of salary negotiation—never discuss salary before you have the job; look at all benefits as compensation; your needs are not the bottom line; be clear that if you must hesitate, it is only because of money; never accept a job offer immediately; and one-time expenditures, such as moving expenses, are more appealing to organizations than long term investments—are legendary among those who have heard her speak or teach. Estabrook’s “input, wisdom, and generosity” have been invaluable. Pamela Wilson, Jonathan Harwell and Patricia Anderson drafted the living wage resolution for all library workers that passed in June 2008 by the ALA-APA Council, calling for a minimum salary of not less than $41,000 for all professional librarians and $13 an hour for all library staff. As members of the ALA-APA Standing Committee on the Salaries and Status of Library Workers, Anderson, Harwell and Wilson shed light on the fact that “library service can no longer be given away too cheaply…at the expense of paying one’s rent or putting food on the table.” They established a floor to which all prospective library employees can point and to which all organizations can compare their sense of what is fair to pay a library worker. These three individuals are to be honored with a special certificate for showing the way through bold writing and bold action. A breakfast will be held to honor the winners at the American Library Association Annual Conference in July in Chicago. The jury members were Linda Dobb, chair, California State University East Bay Library; Kathleen Hanselmann, RAF Lakenheath AFB Library; and Alice Knapp, New Canaan Library (Conn.). This award was thanks to a generous contribution from SirsiDynix, the global leader in strategic technology solutions for libraries. The American Library Association-Allied Professional Association (ALA-APA) is seeking nominees for a $5,000 award, courtesy of the SirsiDynix Corp. Nominees will include individuals and organizations that have made a positive change in the salaries or status of librarians and/or support staff. The Award Jury is looking forward to receiving the stories of champions that have had a local, regional or national impact. Each candidate must have three nominations, using the electronic application form at www.ala-apa.org/salaries/sirsidynixnominationform.html. The deadline is Friday, Dec. 12. Nominations will be reviewed by the Award Jury, chaired by Linda Dobb, of the California State University Library East Bay, at the American Library Association Midwinter Meeting in January 2009 in Denver, Colo. The winner(s) will be honored at the Annual Conference in June 2009 in Chicago. The Award Jury encourages the library community to nominate staff and libraries of all sizes and types that are actively working to secure equitable pay for people in librarianship. Please submit three strong letters of support, since only the first three received will be reviewed. Self-nominations are permitted. Supporting documents may be e-mailed to ALA-APA, faxed to (312) 280-5013 or mailed to SirsiDynix Award, ALA-APA, 50 East Huron, Chicago, IL 60611. The recipient of the award does not have to be an ALA member or a current or past library staff member. The the award recipient’s achievement(s) must be notable in improving the pay and status of library workers. Officers of the ALA or the ALA-Allied Professional Association are not eligible for the award, nor are members of the Jury, ALA-APA Standing Committee on the Salaries and Status of Library Workers or employees of SirsiDynix. Information about last year’s winners is available at the website: www.ala-apa.org/salaries/sirsidynixaward. The other members of the committee are ALA members Kathleen Hanselmann and Alice Knapp. The ALA-APA Dynix Award Jury and employees of the SirsiDynix Corporation are not eligible for this award. The SirsiDynix Corporation is a leading provider of information technology to libraries and consortia worldwide. For more information, contact Jenifer Grady, Director, ALA-APA at jgrady@ala.org. CHICAGO ‑ The ALA-APA: the Organization for the Advancement of Library Employees (ALA‑APA) is pleased to announce that Brian Keith, Library Human Resources Officer at the University of Florida Smathers Libraries, and Camilla B. Reid, Associate Director of the Augusta State University Reese Library, are the winners of the fourth annual SirsiDynix‑ALA‑APA Award for Outstanding Achievement in Promoting Salaries and Status for Library Workers. The award is given to an individual, group of individuals or institution that have made an outstanding contribution to improving the salary and status of library workers in a local, regional or national setting. Keith will receive $3000 and Reid $2000 in appreciation of their work on improving salaries in their libraries. The SirsiDynix Jury was very impressed with the scope of Keith’s project, which performed a two-stage market equity review of all support staff at the University of Florida Smathers Libraries. Jury member Linda Dobb said, “It is a tribute to your hard work and political saavy that of the 150 non-faculty staff evaluated, your new job matrix resulted in equity improvements for 120 employees for a total increase of $785,108.80 in wages and benefits.” One nominator lauded Keith’s for not only creating a new consistent set of position descriptions and responsibilities” but for “also convincing both the library administration and the University of Florida HR administration of the positive results of implementing this project.”The jury was also inspired that the project will serve as a model for other support staff areas that come under review at the University. In April 2007, Reid submitted a comprehensive, documented, detailed proposal to the Vice-President that portrayed the need for salary adjustments. Reid successfully obtained these limited resources during a period of constrained university budgets and increased competition. Jury member Mary Mallory said the proposal “reflects your belief in the value of library paraprofessionals, the importance of salary equity, and your hard work to ensure that this was not a missed opportunity.” The jury also recognized the purposeful strategic planning, the extent of the staff development program, and the data gathering phase, each of which served as a catalyst for this advancement of well over half of the Library’s paraprofessional staff members. One colleague described her effort as “incomparable.” This project may also be a model for improving faculty salaries within the Library. A breakfast will be held to honor the winners at the American Library Association Annual Conference in June in Anaheim, CA. The next award cycle will begin in October 2008, though nominations may be submitted now. Watch the ALA-APA Website for details – http://www.ala-apa.org/salaries/sirsidynixaward. The jury members were John Jessee, chair, Jacksonville Public Library (Fla.); Linda Dobb, Bowling Green State University (Oh. ); and Mary Mallory, University of Illinois at Urbana-Champaign. This award is given annually, thanks to a contribution from SirsiDynix, the global leader in strategic technology solutions for libraries. The recipient of the award does not have to be an ALA member or a current or past library staff member. The requirement is that the award recipient’s achievement(s) has been notable. Officers of the ALA or the ALA-APA are not eligible for the award, nor are members of the ALA-APA SirsiDynix Awards Jury, ALA-APA Standing Committee on the Salaries and Status of Library Workers or employees of SirsiDynix. 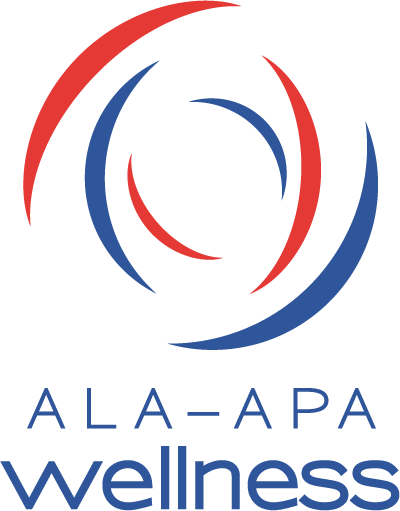 ALA-APA: the Organization for the Advancement of Library Employees is a service organization to the American Library Association and the library community. It has two missions: advocacy for salary improvement efforts and providing certification in specializations of librarianship. The American Library Association-Allied Professional Association (ALA-APA) is seeking nominees from both individuals and organizations that have made a positive change in the salaries or status of librarians and/or support staff. The Award Jury is looking forward to receiving the stories of champions that have had a local, regional or national impact. The winner will receive a $5000 award, courtesy of the SirsiDynix Corporation. Each candidate must have three nominations, using the electronic application form at www.ala-apa.org/salaries/sirsidynixnominationform.html. The deadline is Friday, Dec. 14. Nominations will be reviewed by the Award Jury, chaired by John Jessee of the Jacksonville (Fla.) Public Library, at the American Library Association Midwinter Meeting in January 2008 in Philadelphia. The winner(s) will be honored at the Annual Conference in June 2008 in Anaheim, Calif. The 2006-2007 jury was struck by the variety and depth of the actions leading to salary improvements in each nomination, finally narrowing the winners to three: Alachua County Library District (Fla.), Connie Vinita Dowell (San Diego State University) and Theresa McMahan (Sullivan County Library System, Tenn.). Alachua County Library District (ALCD) impressed the award jury because it conducted a detailed compensation study that resulted in salary adjustments for all staff. Dowell, dean of the San Diego State University (SDSU) Library and Information Access Department, worked proactively in a public university setting to find ways to reward and recognize deserving employees who took on additional duties and responsibilities during hard economic times. McMahan, then assistant director, pushed for raises for librarians, catalogers and part-time staff by informing the library board and county commissioners about the duties of her staff. The Award Jury encourages the library community to nominate staff and libraries of all sizes that are actively working on every level to secure equitable pay for people in librarianship. Please submit three strong letters of support, since only the first three received will be reviewed. Self-nominations are permitted. Supporting documents may be emailed to ALA-APA, faxed to 312-280-5013 or mailed to SirsiDynix Award, ALA-APA, 50 East Huron, Chicago, IL 60611. The recipient of the award does not have to be an ALA member or a current or past library staff member. The requirement is that the award recipient’s achievement(s) has been notable. Officers of the ALA or the ALA-Allied Professional Association are not eligible for the award, nor are members of the Jury, ALA-APA Standing Committee on the Salaries and Status of Library Workers or employees of SirsiDynix. For more information, contact jgrady@ala.org. CHICAGO – The ALA-APA: the Organization for the Advancement of Library Employees (ALA-APA) is pleased to announce that Alachua County Library District (Fla.), Connie Vinita Dowell (San Diego State University) and Theresa McMahan (Sullivan County Library System, Tenn.) are the winners of the third annual SirsiDynix – ALA-APA Award for Outstanding Achievement in Promoting Salaries and Status for Library Workers. The award is given to an individual, group of individuals or institution that have made an outstanding contribution to improving the salary and status of library workers in a local, regional or national setting. Alachua County will receive $2500, Dowell $1500 and McMahan $1000 in appreciation of their work on improving salaries in their libraries. Alachua County Library District (ALCD) impressed the award jury because it conducted a detailed compensation study that resulted in salary adjustments for all staff. In 2006, ALCD had the support of its board to bring base line salaries up to a fair living wage, to raise the base of all other positions and to give an increase of 2% to all staff who were already within the new pay grade range. For example, entry-level librarians base pay increased 11.5% to $36,000. ACLD also worked with the Alachua County Equal Opportunity Office and Human Resources to increase minority recruitment and to improve hiring practices and internal opportunities for minority applicants. ALCD is a large public library, serving 241,000 citizens in and around Gainesville , Fla. . “We have been a leader in public library services in Florida for many years,” said ACLD Director Sol Hirsch, who was one of three who nominated his district. “But until we made the effort to address fair compensation and have a staff that is representative of the community we serve, we could never be a great library. We are proud that the Alachua County Library District is now on that path.” Dani Burrows, public relations and marketing director and Suzi Blaze, administrative services administrator also nominated ALCD. The jury was struck by the nominations, which came from a variety of supporters: Dr. Glenda Thornton, director of Cleveland State University Library ( Ohio ); Jon E. Cawthorne, associate dean, SDSU Library; and Tyrone Cannon, dean, University of San Francisco Library . They lauded how Dowell, during a severe recession, retained, reclassified and promoted library employees and increased the pay for those whose responsibilities had shifted. Dowell worked proactively with unions. Her active and open communication style with library staff, faculty and administrators promoted the importance of recognizing employee efforts. SDSU serves 34,000 students. Theresa McMahan was called “a visionary [who] is changing the way people look at the library” by Jo McDavid, branch manager of the Colonial Heights Branch of Sullivan County Library System, which serves the 150,000 + citizens of Blountville, Tenn. Margaret Elsea, library manager, said that McMahan pushed for raises for librarians, catalogers and part-time staff when she was assistant director. McMahan informed the Board and County Commissioners about the duties of her staff, raising their status and laying the groundwork for the increases after a county-initiated salary study. A breakfast will be held to honor the winners at the American Library Association Annual Conference in June in Washington , DC . The next award cycle will begin in October 2007, though nominations may be submitted now. Watch the ALA-APA Website for details – http://www.ala-apa.org/salaries/sirsidynixaward. The jury members were Barbara Ford, chair, University of Illinois at Urbana-Champaign; John Jessee, Jacksonville Public Library ( Fla. ); and Peter McDonald, Fresno State University ( Calif. ). This award is given annually, thanks to a contribution from SirsiDynix, the global leader in strategic technology solutions for libraries. The American Library Association-Allied Professional Association (ALA-APA) is seeking nominees, both individuals and organizations, that have made a positive change in the salaries or status of librarians and/or support staff. The Award Jury is looking forward to receiving the stories of champions that have had a local, regional or national impact. The winner will receive a $5000 award, thanks to the SirsiDynix Corporation. Each nominee must have three nominations using the electronic application form at http://www.ala-apa.org/salaries/sirsidynixnominationform.html. The deadline is Friday, December 1, 2006. In 2006, the winners were AFSCME Local 1526 of the Boston Public Library and James Fish, Director of the Baltimore County (Md.) Public Library, and Eileen Muller, President of the Brooklyn Library Guild, Local 1482, was given an honorable mention. AFSCME Local 1526 “did an outstanding job in their last contract negotiations to win upgrades for all 76 library support staff in the 26 of the 27 branches of the city public library system.” Fish campaigned for “a new pay program that resulted in a 7.34% pay adjustment to all staff, annual merit steps of 5%, and the base starting salary for librarians increased by 13.4%.” In 2005, the first year, Maurice Freedman and Dorothy Morgan were chosen, Freedman, former ALA President, for raising awareness of salary inequities within librarianship and Dorothy for advocating on behalf of support staff nationwide. Morgan is the Business Manager, Liverpool Public Library (NY) and former President of the ALA Library Support Staff Interest Round Table (LSSIRT, 2000-2001). The Award Jury encourages the library community to nominate those who are actively working on every level to secure equitable pay for people in librarianship. Please submt three strong letters of support as only the first three received will be reviewed. Self-nominations are permitted. Supporting documents may be emailed to ALA-APA, faxed to 312-280-5013 or mailed to SirsiDynix Award, ALA-APA, 50 East Huron, Chicago, IL 60611.